This product has been replaced by the 70W AC Power Supply (PS514) and is no longer available. Click here to view the PS514. Recommended by Digitrax for powering Digitrax Sets & accessories. Works for DC, too! Attach the two output leads to your DCC Booster or other device that accepts up to 5amps 15V AC. 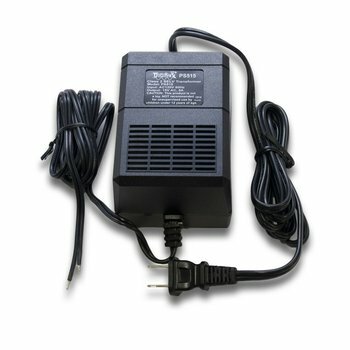 Plug your PS515 into an appropriate wall outlet (AC120V 60Hz).